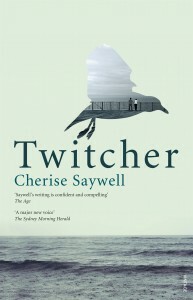 Kenno, the teenage narrator of Cherise Saywell’s second novel, Twitcher (following her debut, Desert Fish), lives with his family in a coastal town in Britain. The desperate life of the family is in sharp contrast to the shifting economic boom of the town more generally. Despite his youthful age Kenno has left school and is holding down two jobs in a determined effort to support the struggling family. He not only works in a shop during the day, but also helps his alcoholic and depressed father in his cleaning business. The divisions in the community are exacerbated by the arrival of an increasing number of cashed-up sea changers, with workers such as Kenno and his father serving their interests and cleaning up after them. Kenno carries the burden of the family’s fraught situation. He is desperate to save them. Facing eviction from their rented property he devises a scheme that, if it succeeds, will bring them relative riches and a new home. A heart-wrenching quality of the novel is that his plan to save the family is both impossible to achieve and endearing in its naivety. Saywell equips Kenno with a limited but finely balanced imaginative response to this predicament. She executes this with precision, through Kenno’s pitch perfect voice and self-realisation. Occasional relief for Kenno is experienced in his attraction to birds. The coastal landscapes edging the town teem with migratory birds, and he is drawn to their strength and beauty. Each year the birds return to the Kingdom of Birds, an island off the coast, attracting bird watchers (‘twitchers’) from all over the country. While the birds return home each year, Kenno’s family face the prospect of being both homeless and having no place to go. There is also mystery and a past tragedy consuming the family, never fully revealed but repeatedly hinted at throughout the novel. For instance, Kenno’s older sister, Lou, carries a scar on her forehead, the telling evidence of a past incident linked to the death of a sibling and perhaps the reckless behaviour of her father. Or perhaps the scar is linked to Lou’s own risk-taking, which includes the boys she chooses to hang out with, a potentially dangerous situation further playing on the mind of young Kenno. Along with the brooding silence of his father and Kenno’s growing sense of confusion about his own sexuality, possibly linked to him being the victim of an attempted abduction and molestation, the novel attempts to weave many threads. 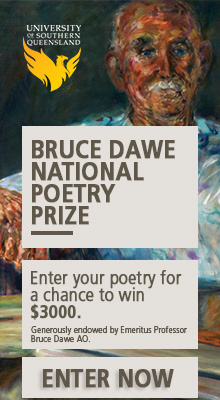 There is genuine beauty in the novel, sketched for the reader through a voice direct and simple and deeply attached to place. While Kenno does all he can to find a home for the family, it is his love of the coast, the birds and the wilds that he conveys with clarity. In the end it is this connection that holds the novel together; an old-fashioned story no doubt, but one that many readers would relate to. When a child such as Kenno has little around him of material value and he does not feel valued by others, what anchors him and holds him together emotionally is a place that he knows inherently. He trusts and loves his place unconditionally, and it returns that love.